There's one last change for justice . . . They dreamed of changing the world. Instead they're facing a mountain of debt and no hope of a future. Mark, Todd and Zola are starting to realise it's not even worth graduating from law school. They're better off hanging out at The Rooster Bar, plotting how to dodge the loan sharks. But maybe there's another way. Maybe they know enough about the law to pass as lawyers. Because it turns out the crooked hedge fund billionaire who owns their law school also runs the bank that arranged their student loans. And it's time justice was served. Even if it means taking on the FBI to do it . . .
Grisham goes back to school, where three law students encounter a nightmare, before going on a crusade. Superb read could not put it down! 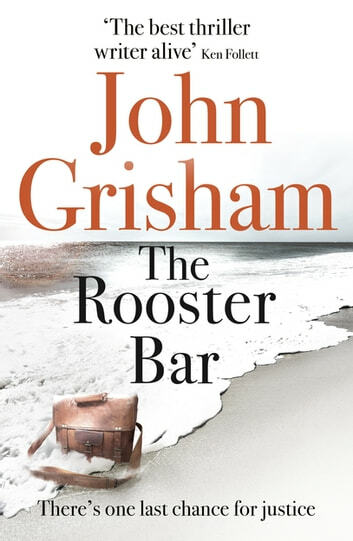 One of Grisham’s best. His knowledge it the legal system makes everything feel so real. Excellent! 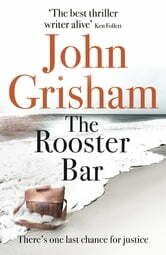 Grisham back to top form. I missed meals and stayed up late as I couldn't wait to see what would happen next What a great read.